I hope you will forgive this group letter, but it is the only way we could reach out to all of you who have supported us so lovingly and faithfully these past weeks. And though it has taken some time to be able to write, you have been in our hearts and thoughts every day since November 14. In some ways, time has stood still; in other ways, it has flown from us—all of us, I suspect—and from the last time we were with Tim. Much as we, his family, mourn and miss him, we have thought about you, his colleagues and Tower families, who saw him everyday: in the hallways, classrooms, and meetings, on the pick-up line, at team events...everyday and everywhere. "Where is Tim?" you are asking, as we are. How you must miss him! His office door with the children's sweet birthday notes and drawings has to be one of the loveliest things we have ever seen, and one of the saddest. Maybe it symbolized what we all are feeling: both the joy and the loss. On behalf of Tim's family, we want to thank you for all you have done for us since his passing. We can't imagine how we could have survived without the love and support you continue to provide in so many ways: your gathering with us at his visiting hours and service; your notes, cards, calls, tributes; the beautifully prepared meals you all cooperated to arrange. With this generous, persistent kindness, you nourish us and hold us close, creating another treasured connection to Tim. In the short time Tim was with you, he and his family had come to love Tower and the Marblehead community. You had welcomed them and they soon felt at home here. Tim appreciated the great Tower School tradition, and had eagerly begun to work with you to revive and continue your mission. 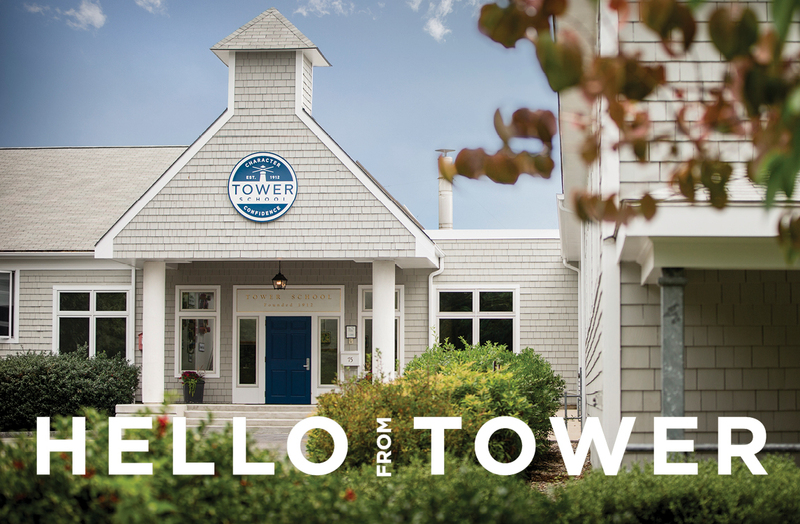 "Character and Confidence," truly words to live by; Tower, a school where children are "known and needed." As one of Tim's cousins—a teacher in New York—told us after the reception, "From now on, I am going to ask myself every morning as I drive to school, 'who needs me most today?'" Mr. D would approve.